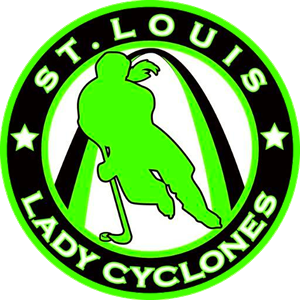 The Lady Cyclones will offer "Girls Try Hockey for Free" sessions several times a year. This is a perfect opportunity to have your daughter get on the ice and experience the game we all love, without having to purchase all the equipment up front. ALL PARTICIPANTS MUST REGISTER! All equipment except skates will be provided. This includes a helmet, shoulder pads, elbow pads, gloves, hockey pants, shin pads, socks, stick, and jersey. Girls can keep the equipment if they register for a Learn to Play/Learn to Skate session. Girls aged 4-15* are welcome to participate. If you have a three year old that would like to try please contact us at 314-328-4144. Location varies, please check open session details on the right. No obligation, come try hockey for free! All equipment except skates are provided. Complimentary skate rental available at the facility if necessary. Players can keep the equipment if they sign up for our Summer Learn to Play session (cost $166). If a player does not sign up for the Learn to Play session and the equipment is not returned, you will be charged of $166. If you return the equipment, the $166 charge will be cancelled. *$1 Equipment deposit due at registration and will be refunded when you return the equipment.